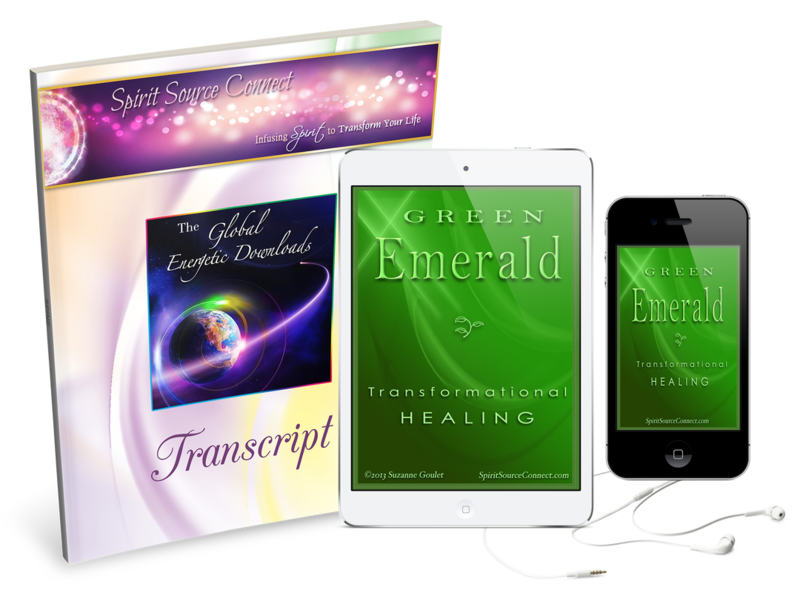 In "Green Emerald Healing" we are given a full opportunity to receive energetic healing from Spirit. Through Divine Energies being delivered, you are walked through various parts of your body to release and let go of all that ails you. "Green Emerald Healing" is a wonderful gift of healing for our physical bodies. By receiving this Emerald Green Light of healing, we can transform the illnesses being held in our bodies, our cells, and yes, our consciousness, too. "Many of you are choosing in these days to hold on to illnesses that no longer serve. Your purpose has greater impact in your worlds when you are free of these illnesses that keep your energy levels low." ​We were told very specifically that we no longer need to retain the illnesses we have. We are encouraged to receive this healing and transformational light of Green Emerald. 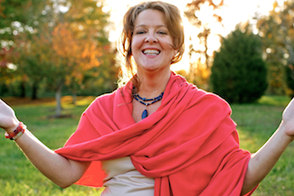 "Understand now, that anything in your bodies that you no longer desire may truly be released. Open yourselves now. And if you know not how to let go, simply allow yourselves a small bit of faith that it may be done." It takes a great deal of faith and persistence to heal oneself. But with time, patience, and the assistance of the healing energies of the Green Ray, it can be done. So much of our own healing has to do with letting go of preconceived ideas of what is actually possible. In the words of this download, we were given a powerful affirmation to repeat to assist us in accepting this new belief that we can receive a miracle and be healed. Your healing journey will raise you up to the level of being able to offer these same pathways to healing for others. Learn what is needed for you to learn now, and your future will be ensured daily. "It was just so deep and relaxing. I did feel the pain go away in my arms. I’ve been dealing with some arthritis or something in my right hand when I work with it. And I felt such such a warmth go in it, and I felt all the pain go away. We’ve been doing some sanding and grinding at work, and I’ve had to use creams and things, and like I said, I just felt the warmth on me tonight, and I just felt the pain go away. The energy is so strong, it just put me in a deep coma." "You've knocked us all out, Suzanne. That was really powerful; that was amazing." ​The effect of the download happening live is so powerful, so transformative on a cellular level, that it really does make it difficult to communicate on a conscious level immediately afterward. In fact, the transformative energetic effect of the download can continue to last for days and months afterward. 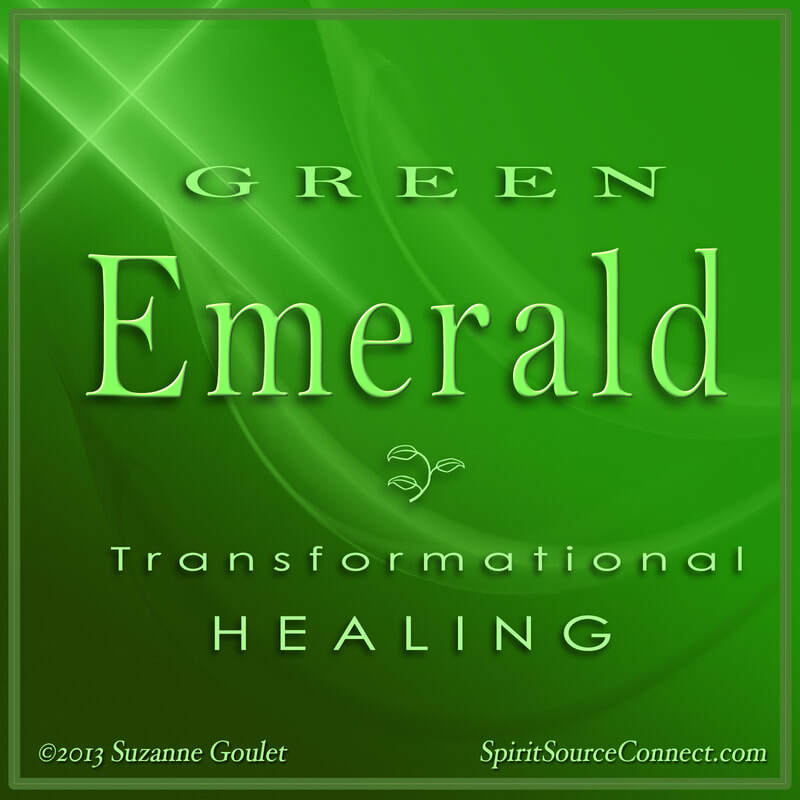 The "Green Emerald Healing" energetic download was specifically given to us to be able to heal our bodies and the congestion of energies that causes illness or imbalance. By continuing to clear our energetic channels, we can receive Light more fully as it passes through our cells, giving us the life force we need. By continuing to listen to this download daily, you may find yourself being liberated from aches, pains, deep chronic illness, or other health imbalances that remain with you. Give yourself the gift of this loving Green Light! With your purchase of "Green Emerald Healing," you receive .mp3 audio files immediately, a CD mailed to your address, and a full, beautiful transcript of these enlightening words as well. Many have read and reread these words over and over, to be inspired and to lift their spirits again and again. I hope you will take the leap of faith and continue to invest in your healing journey.